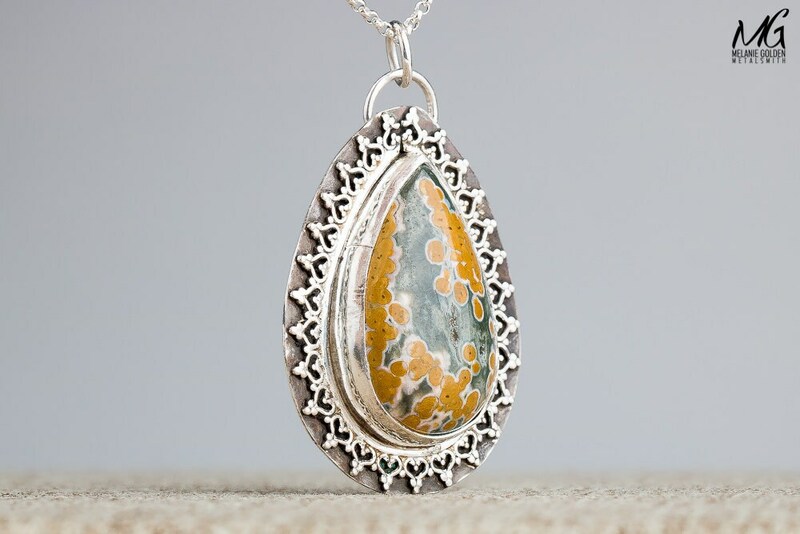 I created this Ocean Jasper gemstone necklace from a piece of solid Sterling Silver sheet metal that I pierced, sawed, and filed. 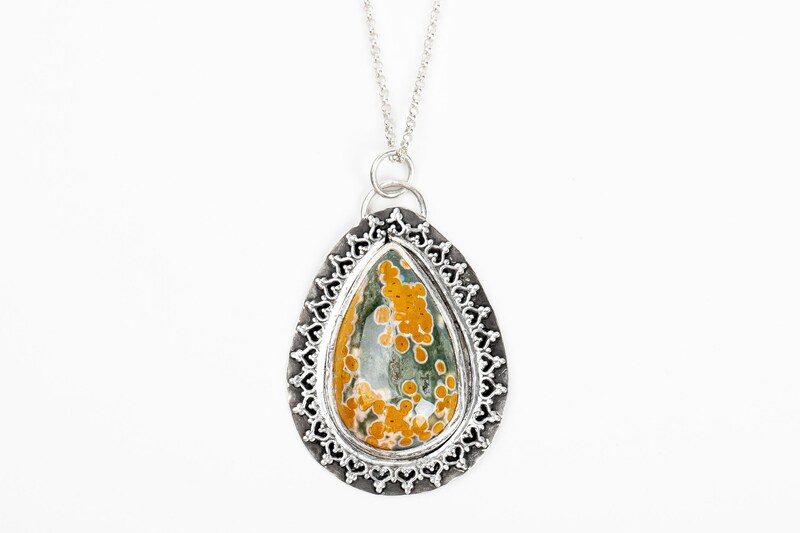 Set within the center is a beautiful yellow and green Ocean Jasper gemstone framed with a lace pattern. 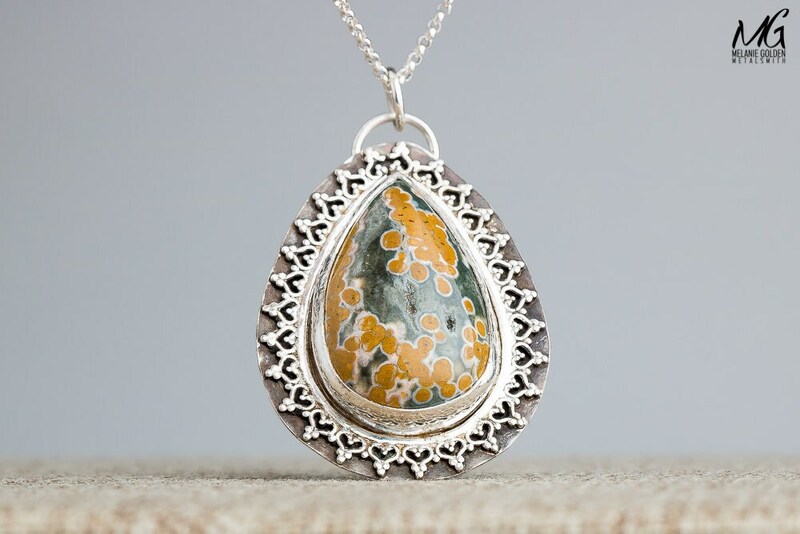 Ocean jasper (also called 'fish-eye' jasper) is found in a variety of colors. It is remarkable for its round, eye-like mineral formations. 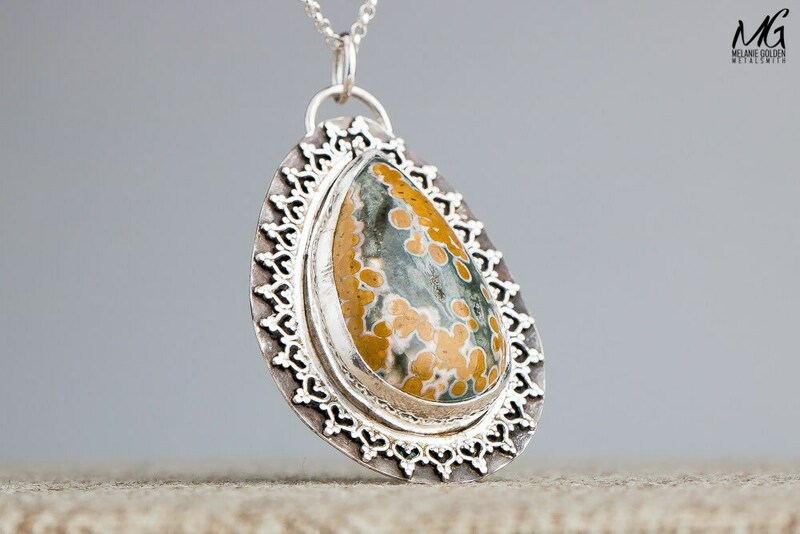 Jasper is an aggregate form chalcedony with a microgranular structure. - Gemstone measures about 18mm x 28mm in diameter. 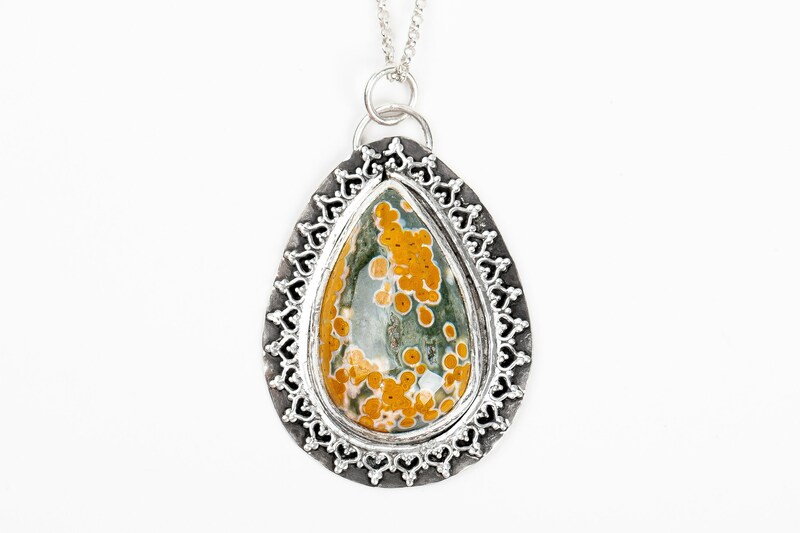 - Entire pendant measures approximately 30mm x 40mm. 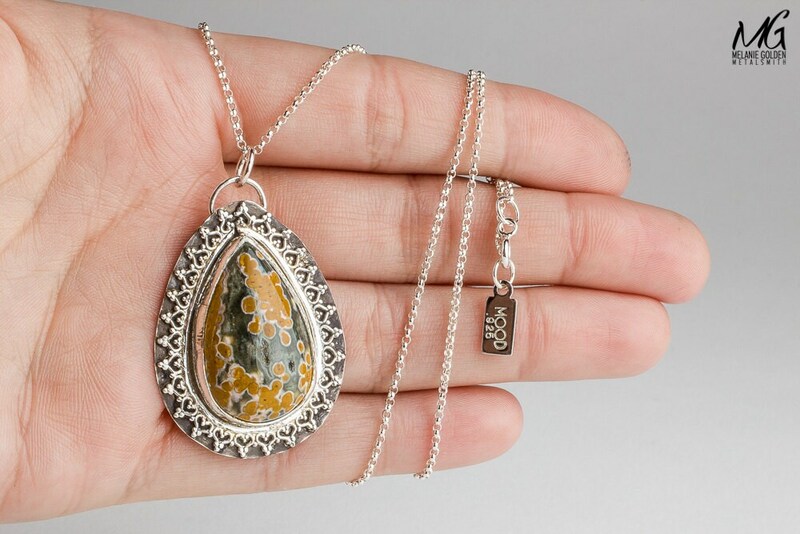 - Necklace measures 18 Inches long. 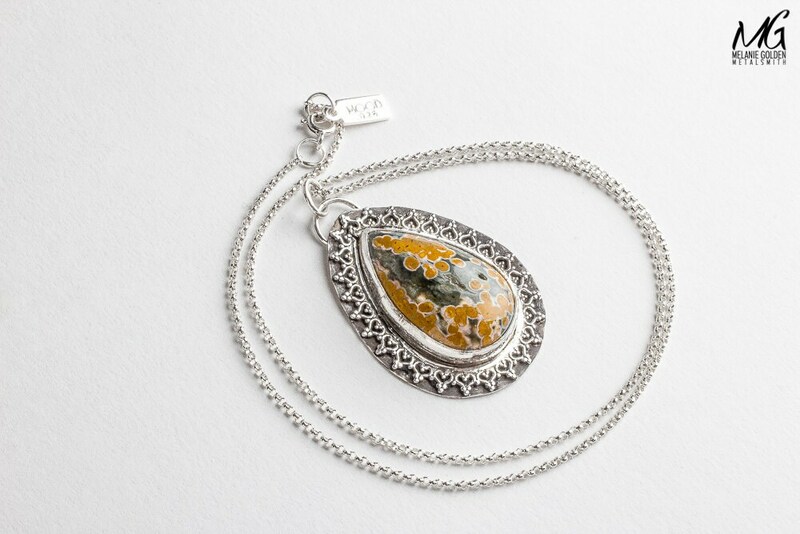 - Necklace is made entirely from solid Sterling Silver and an Ocean Jasper gemstone.